How can I bring a housemaid from Sri Lanka? Age: Sri Lankan maid's age should not be less than 23 years if she comes on maid visa from Sri Lanka. � Medical fitness report from Sri Lanka. This report should be attached with maid visa application. 1. Typed Entry Visa Permit application (Can be prepared from Typing Centre). Fee: Dh310 to be paid at Typing Centre (Typing charge extra). + If the sponsor is a Government/Semi-government/Free zone Employee, his/her Salary Certificate does not need attestation. + If the sponsor is an Investor/Partner: Copy of the Contract showing his shareholding, Copy and original of the partners' financial security deposit, copy of the Trade License and Partners List. House Rent Agreement: Copy of residence Tenancy Contract consisting of minimum two bedrooms. It has to be attested through Ejari online system of Real Estate Regulatory Authority (RERA). If you are living out of Dubai, attach Municipality attested Tenancy Contract and Electricity Bill. Affidavit from the Consulate stating that the Maid is not related with the Sponsor and spouse. Separate Affidavit to be made for both Sponsor and spouse. (This is applicable only if the Maid is from same nationality of the Sponsor). Affidavit Fees Dh110 to be paid at Sri Lankan Consulate / Embassy. If the Maid is inside UAE on Visit Visa, Dh1230 to be paid extra for Status Change (Dh680 to issue visa inside the country and Dh550 for status amendment). If she is on Tourist Visa, she can get visa inside country on payment of Dh680, then she must exit to Oman or neighbor country and enter on new maid visa. Visa change package is available from Fly Dubai, Air Arabia and some other airlines. Tourist Visa cannot be changed inside country without exit. In this case no need Sri Lanka Consulate related procedures after get issued the visa. But No Relation Certificate from Consulate is must if the Maid is from same nationality of the Sponsor. This certificate is required at the time of applying for entry visa at Immigration. + Air ticket from Sri Lanka to UAE at the time of joining and return after completion of the contract. + After getting issued Maid Visa from Immigration, the following procedures to be completed at Sri Lankan Consulate / Embassy. 2. Domestic Worker's passport copy. 3. Duly filled Contract Form with the sponsor's signature. 4. Original visa and two photocopies thereof. 6. Deposit of Dh3675 (US$1000) by the sponsor for domestic female workers only. This deposit is refundable on termination of the contract of the maid subject to conditions mentioned in the contract. + To get Immigration clearance from Sri Lanka, the child (if any) of maid should not be less than six years of age. She has to get clearance letter from the government agent in her Village. Then approach Bureau of Foreign Employment with the clearance letter, Original visa and Employment Contract attested by Sri Lankan Consulate / Embassy, UAE. 7. A letter from the employee saying that no dues from the employer (No claim certificate). This letter you have to get signed before the exit of Housemaid. 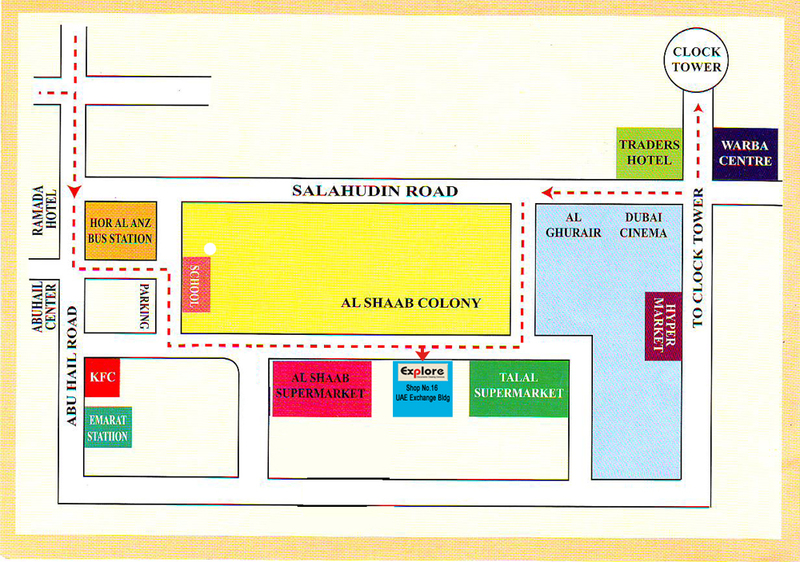 Al Hudaiba Area, Al Mankool Street, Street 322-B, Villa No. 2, Dubai. All works related to attestations and registrations can only be done during 0830hrs to 1300hrs and accounts department is closed thereafter. Please be on time to submit application before 1300hrs. No application will be entertained after 1300hrs. + Wait for a month before you stamp the visa on the passport. That gives you enough time to study her behaviour and commitment to work. + Don�t let your housemaid go out unaccompanied for a long period of time. You are inviting trouble. + Always keep monthly salary slips and make your maid signs on them on their pay day. You may need to show proof at the embassy (GN). You cannot apply for Maid Visa from your own nationality. Sponsor's salary should not be less than Dh10,000 plus executive profession. Sharjah Immigration Office Address: South of King Faisal Street (take SZR to Sharjah, exit on King Faisal Street, then turn right when you see the big mosque. Go one major block and it is on the corner - turn left and then an immediate right into the district). Tel. No. : 06 572 67 77. Click here for other immigration branch address. The person who hires an absconding maid faces a Dh50,000 fine as per Article 34 of the Foreigners' Entry and Residency Law, or otherwise faces a maximum jail term of six months. Absconding maids will be jailed and deported." (The employer will be fined Dh100,000 if he/she hires two such absconders. Tags: Is there any procedure should I complete from Sri Lankan Consulate to bring a housemaid? Is there any restrictions for Sri Lankan housemaids in UAE? I want to bring a housemaid from Sri Lankan, can I bring directly or should I approach any recruitment agent? I am from Sri Lanka, Can I sponsor a housemaid from Sri Lanka? Is there any special medical test required for Sri Lankan maid from their country? Where can I get the approved medical centers list in Sri Lankan? Where should I submit maid visa application? Can I bring a housemaid from my country? Can I bring an Sri Lankan maid first on Visit/Tourist Visa and change latter to Maid visa? Can I change a maid's visa to my sponsorship while she is on Visit visa under someone else's sponsorship? What is the extra expense if I bring the maid on Visit Visa first and change to Maid visa latter? What is the maximum age limit allowed for a housemaid in Dubai? Where can I get maid recruitment consulate forms? Where can I get typed housemaid agreement? Where should I go for maid contract attestation? Do I need to send maid contract and other forms to Sri Lankan to get Emigration clearance for the maid? How can I arrange Immigration clearance for the housemaid from Sri Lankan?